Book Jacket Synopsis: Terpsichore and her family are going to be pioneers in Alaska! Times have been tough in Wisconsin during the Great Depression, and she’s eager to make a new start. Terpsichore has often dreamed about living like Laura Ingalls Wilder, but the reality of their new home is a shock. The town is still under construction, the mosquitoes are huge, and when a mouse eats her shoelace, causing her to fall on her first day of school, everyone learns the nickname she had hoped to leave behind: Trip. Despite all this, Terpsichore falls in love with Alaska — and her sparkling, can-do spirit is a perfect match for the wilderness. When she discovers there is no library, she helps start one, and with the aid of the long hours of summer sunshine, she’s able to grow killer vegetables. With all these achievements, Terpsichore is sure she’ll be earning a new nickname in no time! The only problem is her homesick mom, who misses polite society. Terpsichore is determined to stay put, so she hatches a plan to convince her mother that Alaska can be a wonderful, civilized home…a plan that’s going to take all the love, energy, and Farmer Boy expertise she can muster. Carole Estby Dagg writes a powerful story about the Great Depression and the 202 families that risked everything to settle Alaska’s real-life Palmer Colony in 1934. This lively and authentic story is about the harsh realities of life and work for any homesteader, let alone 11-year-old Terpsichore (Terp-sick-oh-ree) Johnson and her family. Dagg expertly explores the meaning of family relationships, friendships, hardship, pioneer cooperation, faith and home. The setting is so realistic that readers will feel that they are living with Terpsichore a drafty tent city, traipsing through thick mud, slapping huge mosquitos, shivering through frigid weather and dealing with smelly outhouses. The plot is original and moves swiftly as the Johnson family claim and clear their land, build a log home, barn, and chicken coups, and plant their gardens. Life is harsh and full of obstacles. There is disease, loss and homesickness, but there is the midnight sun that reveals a beautiful landscape and grows very large vegetables. Great characters make a book and Dagg has succeeded with Terpsichore, who is a brave, resilient, determined and independent narrator. Her voice and spirit are strong. Although she may not have her twin sisters singing talent, Terpsichore makes a contribution that benefits the entire pioneer colony. She starts a library with the help of her two new friends, Gloria and Mendel. They contact churches, scout groups, the Red Cross for books and supplies. When the colony needs a doctor and hospital, Terpsichore helps her mother send a telegram to Eleanor Roosevelt, who responds to their needs. Sweet Home Alaska gives readers an eye-opening glimpse into a portion of Alaska’s history they know little about. Make sure you check out the Author’s Note about the early settlers of Palmer, Alaska, in the Matanuska Valley. She also includes some of Terpsichore’s Alaskan recipes and a list of resources. There is a lot of history packed into this novel, making it an excellent book for the classroom. Synopsis: Zelda’s hedgehog family is moving far away. They pack boxes and prepare for their move. She doesn’t want to move away from her best friend, Aaron, the anteater. Before Zelda moves, she wants to spend one last day with Aaron doing all of their favorite things together as if nothing is changing. They play tetherball, swing together, sail in a boat, build forts and eat ice cream cones. They bid each other a sad farewell and Zelda isn’t so sure about her future…until she arrives at her new home. Jessixa Bagley has packed many sweet and tender moments into this story, which is less than 100 words. Each phrase is short and perfectly communicates Zelda’s anxiety and sadness about moving away from Aaron in a touching way. The author balances the sadness with the determination of the best friends to make lasting memories with each other before they say goodbye. Bagley weaves in the notion that best friends can survive moving away in a hopeful and memorable manner. The ending is endearing. With minimal text, Bagley cleverly tells the story through her beautiful watercolor illustrations. They are expressive, warm, colorful and show the two friends having fun together. 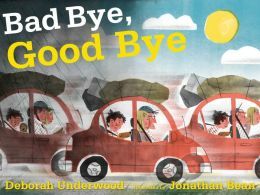 Resources: This story is a great resource for parents to help explain the concept of moving and saying goodbye to a friend. It is also a gentle way to help a child share their feelings. Visit Jessixa Bagley, author of Boats for Papa, at her website. Book Jacket Synopsis: Iris Abernathy hates life in Corvallis, Oregon, where her family has just moved. It’s always raining, and everything is so wet. Besides, nothing has felt right since Iris’s best friend, Sarah, died. There’s nothing Iris wants more than to see Sarah again. When Iris meets Boris, a mouth breather with a know-it-all personality, she’s not looking to make a new friend, but it beats eating lunch alone. Then Iris learns that Boris’s very existence is a medical mystery — maybe even a miracle — and she starts to wonder why some people get miracles and other don’t. And if one miracle is possible, can another one be too? Can Iris possibly communicate with Sarah again? Arnold has written a compelling and emotionally deep story about how 11-year-old Iris deals with the tragic death of her best friend. Although Sarah’s death is the sad story, the book is also about friendships and embracing life. It is charming, funny and thought-provoking. The subject of loss and grief is realistically tackled with honesty and sensitivity. Sometimes Iris feels Sarah’s essence around her. She hears noises in a downstairs closet and wants to believe it’s Sarah. Iris wants to know if her friend is out there somewhere. Is she okay? Is she scared? Is she alone? Did it hurt to die? Iris asks many universal questions in her search for answers. She wonders why bad things happen to good people. Why do miracles happen for some people like Boris, and not for others? The story is character-driven and the characters are memorable. Iris is searching to understand her friend’s death so that she can find joy in life again. Boris is intelligent, a bit socially inept and a die-hard Magic player. Boris eagerly helps Iris search for answers –even if it is means visiting a psychic and talking with priests. Iris’s mother is a genetic researcher who is busy with her work. Her father is a stay-at-home dad, who calls her “Pigeon,” bakes bread, plants a huge garden and raises baby chicks in an incubator. He adds stability and quirky humor to the story. This is a very unique offering on grieving for teens. It is a refreshingly quiet book that doesn’t provide answers, but gives readers time to ponder big questions and their beliefs. This would make an excellent classroom discussion book. 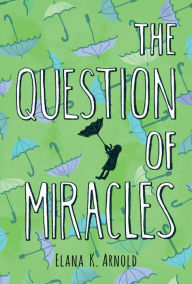 Elana K. Arnold: The Question of Miracles is her debut for younger readers. She is working on another middle grade novel, A Long Way from Home. She is the author of young adult novels, Sacred, Burning, Splendor and Infandous. Visit Elana Arnold at her website. Synopsis: Jacqueline Woodson shares what it is like to grow up in the 1960s and 1970s in both Brooklyn, NY and Greenville, SC. The south is home for Jacqueline and her brother and sister as they spend the summers with their grandparents. Children tease Jacqueline and her siblings about their northern accents. She struggles with the subtle prejudices in the South as her awareness of the civil rights movement grows. In Greenville there are loving grandparents, friends, and a lot of love. In Brooklyn she’s teased about being a Jehovah Witness and having to follow rules that her friends don’t understand. And living in the shadow of her sister’s academic performance in school presents another challenge. Jacqueline has difficulty with schoolwork. It is through her poetry and storytelling that a teacher tells her “You’re a writer.” Jacqueline’s voice begins to grow stronger with each word she pens because she wants to believe. Readers will find Jacqueline Woodson’s journey to become an author engaging and inspiring. 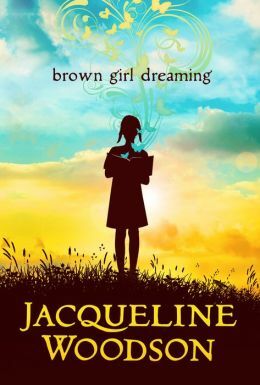 What I like about this book: Brown Girl Dreaming is a deeply personal and authentic memoir for teens struggling with race, prejudice, absent fathers, and finding their place in the world. Jacqueline Woodson’s determined and uplifting voice is eloquent. Her use of free verse compliments the theme in her memoir. Her story is lyrical, emotional, and powerful. Each page is a clever, lively or soulful poem about a growing girl’s identity; her struggle with reading, a love of stories, and a desire to become a writer. She gives her readers hope and the sweet taste of what it’s like to follow your dreams. Jacqueline Woodson is the winner of the Margaret A. Edwards Award for lifetime achievement in writing for young adults, the recipient of three Newberry Honors for After Tupac and D Foster, Feathers and Show Way, and a two-time finalist for the National Book Award for Locomotion and Hush. Other awards include the Coretta Scott King Award and Los Angeles Times Book Prize for Miracle’s Boys. Visit Jacqueline Woodson at her website. Book Jacket Synopsis: Change is hard. And when you’re moving away from your old home and your old friends, GOOD BYE can feel like BAD BYE. But could your new town hold surprises that turn BAD BYE into a GOOD BYE again? BAD BYE, GOOD BYE is perfect for moving day or any of life’s tough transitions. Why I like this book: Deborah Underwood uses minimal text in the form of two-word phrases on each page to tell this heartwarming story about a family moving. Jonathan Bean’s colorful collage-like watercolor illustrations show the roller coaster of emotions the boy and girl feel as pack up their home, say goodbye to friends and travel by car to a new city, house and school. The story has a nice rhythmic feel as well as rhyming. “New house/New hall/New room/New wall.” For some children change is harder than for others. This book will be a great comfort for children on the move this summer to new homes before the next school year begins. BAD BYE, GOOD BYE can be used when there are other physical changes and separations (divorce, job or military) and grief. Deborah Underwood is the New York Times best-selling San Francisco-base author of The Quiet Book and The Loud Book. Visit Deborah’s website. Jonathan Bean’s illustration accolades include the Boston Globe-Horn Book Award and the Ezra Jack Keats Award. Visit Jonathan’s website. Book Giveaway: I will be giving away one copy of BAD BYE, GOOD BYE. All you have to do is leave a comment and indicate whether you’d like to be in the drawing. I will announce the winner next Wednesday, June 25. Synopsis: Twelve-year-old Lucy Emery’s family has moved to an old cottage on a New Hampshire lake. Her father is a famous photographer and takes off on another travel shoot before the family settles. Lucy misses her father and is tired of starting over again. When she discovers that her father is judging a photography contest for youth, she is eager to enter to see if she has talent. She enters anonymously. She studies the photo scavenger hunt list and begins to take photos of her new lake surroundings. Lucy meets her neighbor Nate and his family, who visit their Grandmother Lilah at her cottage every summer. Nate likes Lucy’s photographs and wants to help her with the contest. Lucy enjoys being with Nate’s family and learns that his grandmother is a naturalist. Since Grandmother Lilah is in poor health, Nate invites Lucy to help with the family “Loon Patrol.” Their goal is to help keep the endangered loons safe, carefully document their activity in a journal and report their findings. Lucy photographs the loons and the birth of their chicks. Through her photos of the loons, the mountains, the lake and the community, Lucy also captures pictures of Grandmother’ Lilah’s memory loss, something that Nate’s not ready to see. Why I like this book: This is a heartwarming coming of age story by Cynthia Lord, author of the 2007 Newbery Honor book Rules. It is a lazy summer read that is so captivating that you feel like you’re there with Lucy, Nate and the lake. 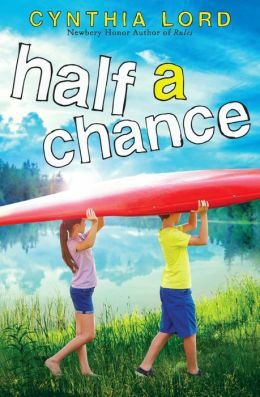 Half a Chance is packed with adventure, wonder, friendship, artistic endeavors, and nature. Lord’s characters are realistic and engaging. The story is narrated by Lucy who gives readers a good feel for life on the lake. She struggles with ambivalence towards her father and a need for him to notice her photographic work. She encounters rivalry and the complexities of new friendships. Nate deals with Grandmother Lilah’s dementia. The plot is well-paced and readers won’t want the story to end. It is a fresh concept for a story with a satisfying ending. I highly recommend this book for tweens. Click here to visit Cynthia Lord’s website.